Employs 12,000 employees in 27 world-class companies. Exports 51% of the medical devices produced in Costa Rica. San José, Costa Rica. 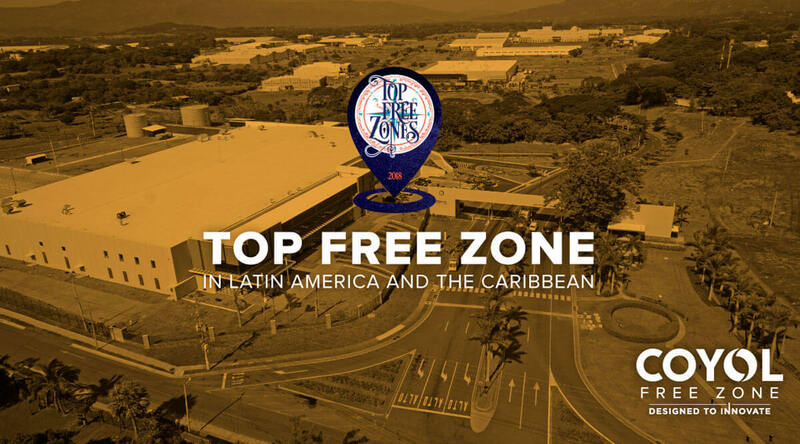 For the second consecutive year, Coyol Free Zone has been awarded as one of the two best free zones in Latin America and the Caribbean, according to the Top Free Zones 2018 ranking by the international magazine Site Selection. The magazine surveyed its audience and a global community of corporate consultants and investors, who organized the 280 most important free trade zones by region, based on their experience and operations around the world. The evaluation is based on criteria such as strategic location, infrastructure, clients, and free trade agreements, among others. In 2017, Coyol Free Zone shared the Top position with Bogotá Free Zone, and in 2018 it does so with the Panama Pacific Special Economic Zone. Coyol Free Zone stands out for other attributes, such as its preferential access to two thirds of the global market, for having the best access to telecommunications in Central and South America, for a skilled and innovative workforce with more than 12,000 employees, for a stable democracy and the country´s commitment to promote education and access to human talent as part of the park’s growth strategy. Since 2017, medical devices have become the country’s largest export product, and Coyol Free Zone generated $1,430,000.00 of these exports, which represents 51% of the total exports of medical devices throughout Costa Rica. In this park, specialized in the Life Sciences and Advanced Manufacturing cluster, 27 companies are in operation. 8 of them are part of the 30 top companies in medical devices worldwide. “Receiving these awards is an honor for us. They reflect our commitment to our customers and our dedication to create a free zone recognized for its innovation, specialization and preparation for the challenges of a changing society. At Coyol Free Zone we have become a strategic partner for the companies that establish their operations within the park, providing numerous services that guarantee the success of their processes as well as the future growth of their business” said Carlos Wong, General Manager of Coyol Free Zone. The differentiated offer of Coyol Free Zone is based on a world-class infrastructure that meets the highest quality standards, essential for the operations of these companies. Since 2016, it has become the first “Smart Park” in Costa Rica and has an underground connection to “El Coyol” electrical substation, guaranteeing an almost absolute reduction in interference, as well as water quality, telecommunications, turn-key and built-to-suit construction solutions, with an environmental and social commitment that ensures the success of established companies. Site Selection Magazine and fDi Magazine are publications aimed at industry investors, covering consultancy, research, and project management, that include demand generation, training, events, magazines, and specialized content.